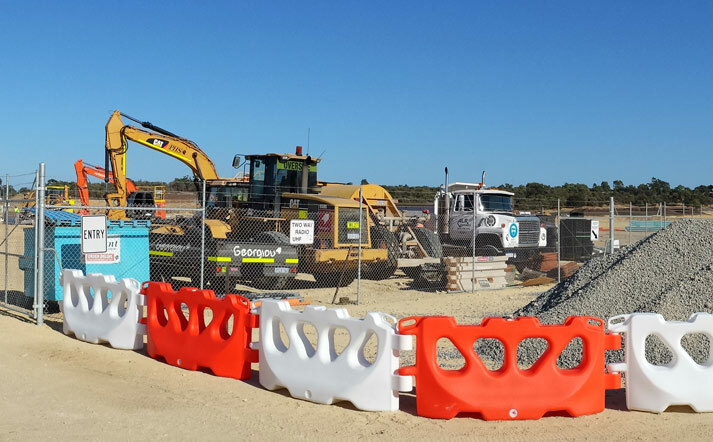 An Australian designed and manufactured, interlocking water filled barrier. Made of UV protected polythene and designed to resist the harsh Australian sun. Available in white or red 2 metre long modules. 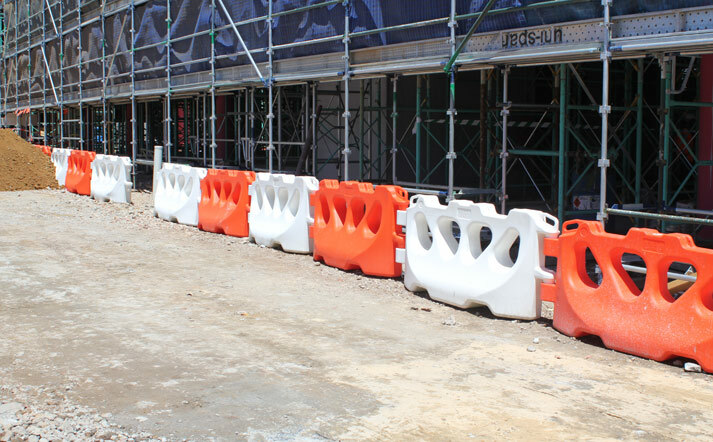 The Trafix 2000 Waterfilled Barrier is an innovative Australian designed and manufactured barrier that has been built for the toughest conditions. 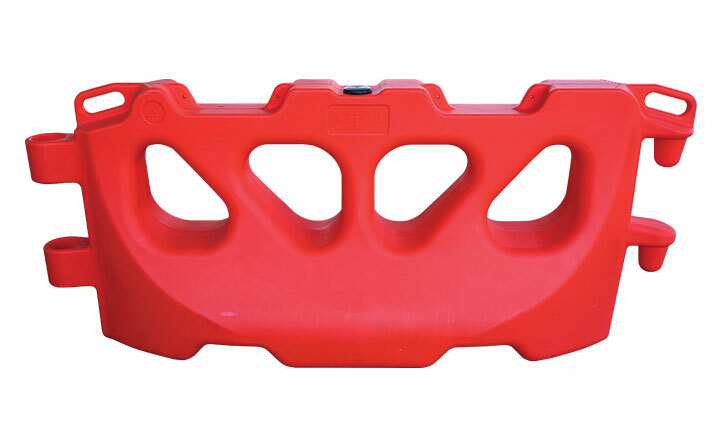 Available in highly visible red and white, the strong UV-protected polyethylene gives added durability against the harsh Australian sun. Simple and lightweight to install when empty, each module weighs just 20kg before filling. 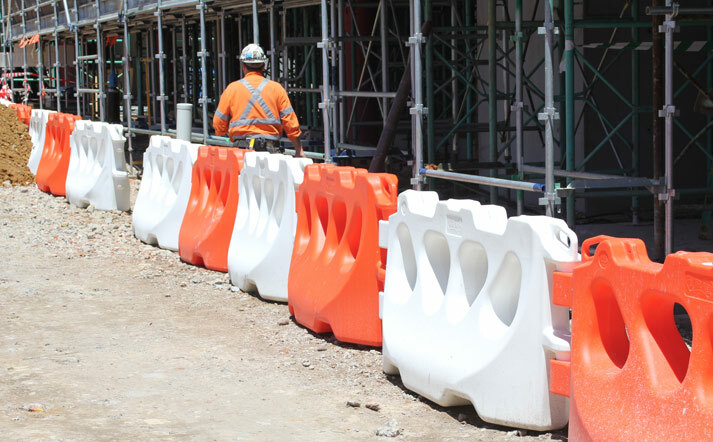 After installation and once filled with water, each barrier weighs 200kg, providing a significantly stable and secure barrier made from material that is strength tested to Australian Standards. 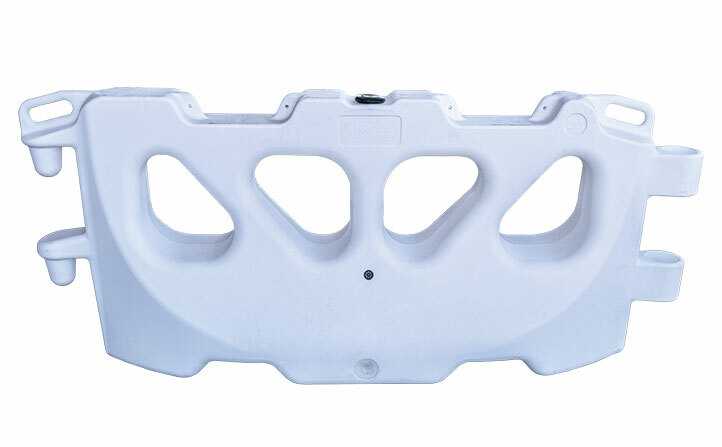 Rounded corners make it safe and easy for workers to handle, and a simple interlocking pin and hole system is moulded into each barrier module, resulting in a one-piece unit with no loose pins. Built-in handles help with the interlocking process and carrying the barrier when empty. The Trafix 2000 water filled barrier is made from eco-friendly recyclable polyethylene and is available in 2 metre long modules. 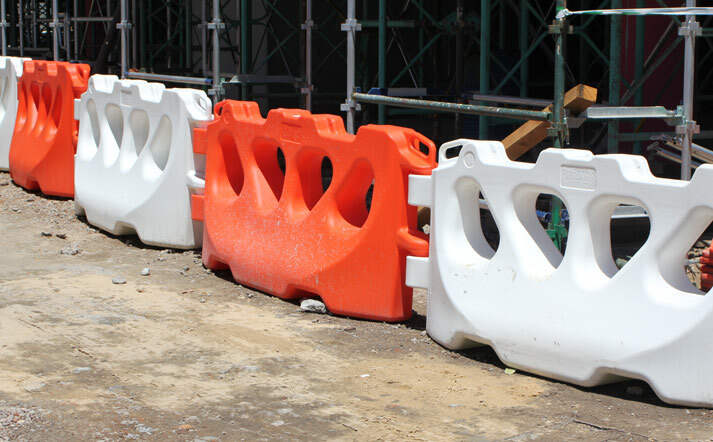 It is ideal for use in pedestrian delineation applications such as this, as well as for cordoning off no-go zones, drop-offs and pits on work sites. 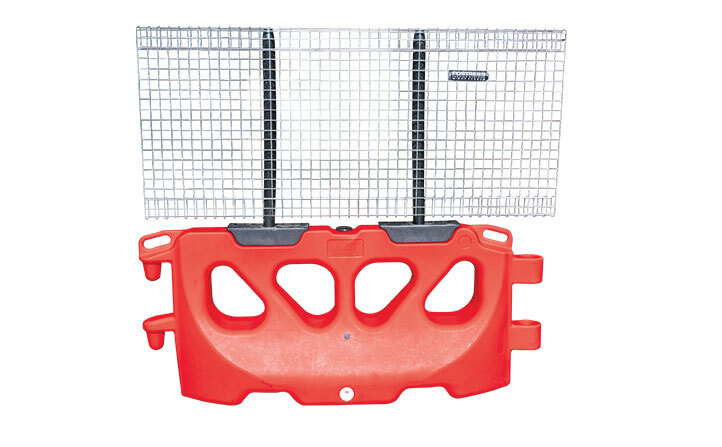 Lights and signage can also be attached, transforming the barriers into a 24 hour traffic control product.